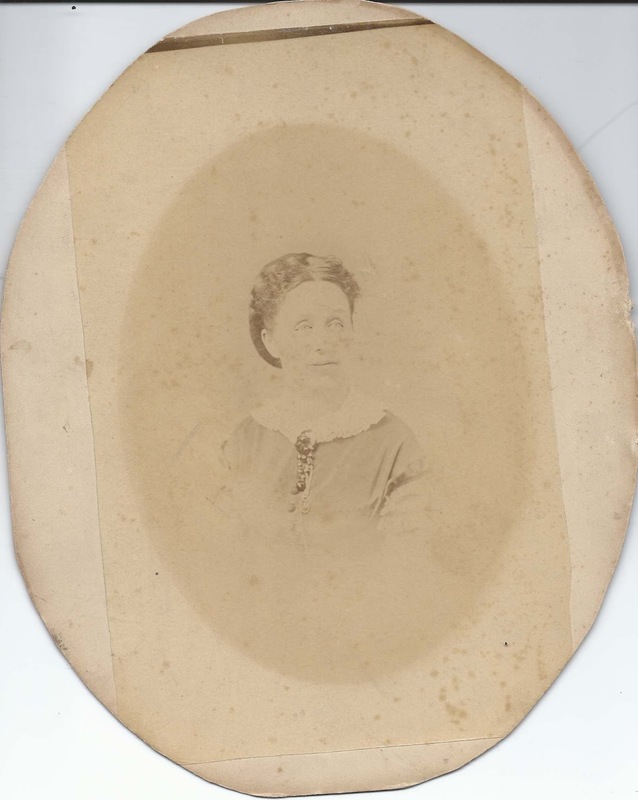 Photograph of a middle aged woman identified on reverse as Viola Chase; taken by H. N. Robinson studio of Dixfield, Maine. Viola M. Austin was born about January 1832 at, or near, Dixfield, Maine, the daughter of Hosea and Vienna (Holland) Austin. Her paternal grandparents were Abiathar and Mary Clark (Bradley) Austin. His maternal grandparents were Antipass and Polly (Marble) Holland. On 11 November 1855 at Dixfield, Maine, Viola married Walter Scott Chase, son of Charles Tristam Chase and Louise (Trask) Chase. He was born 29 August 1831 at Dixfield, Maine. Walter's paternal grandparents were Tristram and Mary (Merry) Chase. His maternal grandparents were Amos and Lucy (Park) Trask. Most sources have his name as Walter Scott Chase but at least one Census has him as Winfield. Perhaps he was named after the General, rather than the Author? 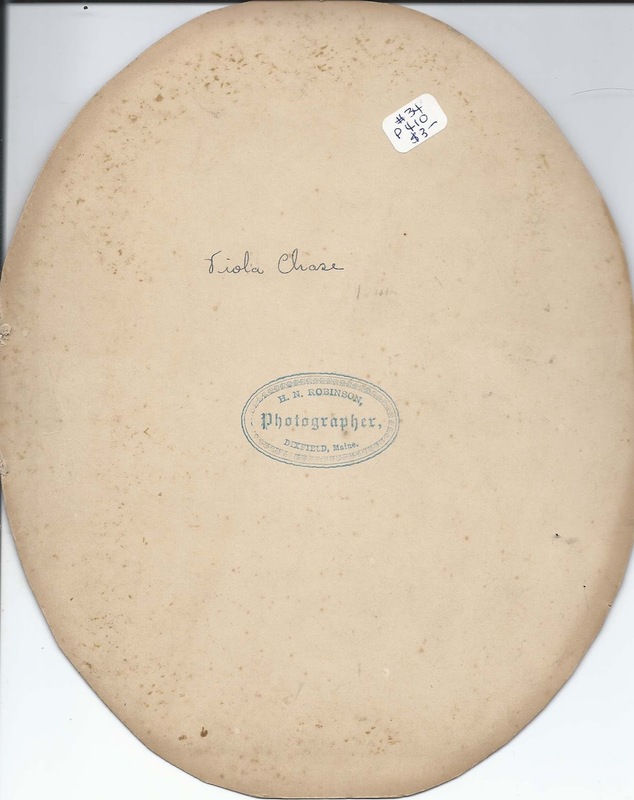 Walter and Viola had at least two children, sons Wilder K. Chase and Fred Chase.